After three years seeking consultative status at the United Nations, the International Gay and Lesbian Human Rights Commission got their wish today when the U.S. led a resolution to force a vote before the full Economic and Social Council. The final tally was 23 yes, 13 no and 13 abstentions, with 5 absences. This is particularly notable for New Jerseyans because, as I previously reported when I first broke the news, my own representative in Congress, Chris Smith (R-NJ), sent a letter to anti-gay countries like Egypt asking them to block IGLHRC’s application. His reasoning was flawed and his writing misleading, and certainly not representative of the constituents I know, and I’m glad he proved unable to block a worthy LGBT rights organization from getting the recognition it deserves. The government of the United States stood strongly behind IGLHRC’s application, calling for a vote in both the NGO Committee and ECOSOC. Ambassador Susan Rice, US Permanent Representative to the United Nations, publicly supported IGLHRC’s application. Additionally, 14 members of the US House of Representatives and 4 Senators sent letters of support to all UN Member States for IGLHRC’s application. Among them were Senator John Kerry, Chair of the Senate Committee on Foreign Relations, and Congressman Howard Berman, Chair of the House Committee on Foreign Affairs. Check out their site for the rest of the press release, including the list of votes. 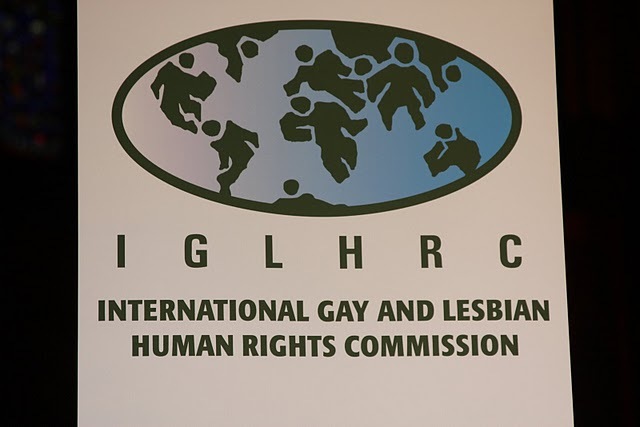 Congratulations, IGLHRC! I’m glad your hard work has won the recognition it deserves! Please correct the spelling in the headline. Recognition. Thanks. Now if we could only vote Chris Smith out of office just as easily! Oh dear! Thanks for noticing that. I’m usually able to get someone to proofread my posts (my newspaper work has taught me just how important an editor can be), but when I’m posting something quickly in the middle of the day I’m not always able to. Yes! We’re slowy breaking down the barriers to equality! Thanks for the post! Now we’ll have to see when UAFA will be enacted! It’s a good thing Prop 8 was ruled unconstitutional today! I’ll be sure to stay up on your blog! Hope all is well!